Illinois High School Tennis Coaches Association (IHSTCA) awarded the 2015 Assistant Boys’ Coach of the Year Award to Phil Stowers. J. Sterling Morton High School District 201 constantly praises its faculty and staff members for their commitment to excellence. 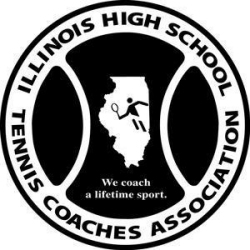 Every year, IHSTCA offers national recognition for individuals and teams who represent the best in Illinois high school tennis. This year, IHSTCA awarded the 2015 Assistant Boys’ Coach of the Year Award to Morton Boys’ Tennis Assistant Coach Phil Stowers. “I believe tennis players at Morton are some of the best students we have,” Stowers said. “When I started working with junior varsity, I enjoyed seeing how quickly the players improved. I have always felt one of our strengths as a team was that our older players guide our younger players; and that they often become great friends in the process. They eat together at lunch, hang out together after school, and play tennis together at the park in the summertime.” Stowers says the team’s great ability to listen and learn contributed to his success as an assistant coach last year, and he has developed many good relationships with coaches in the state due to always being respectful toward visiting coaches. His Morton coaching career dates back to 2004; he coached the Morton girls and boys tennis varsity players for nine years before serving as the assistant coach for the girls and boys tennis teams the past three years.